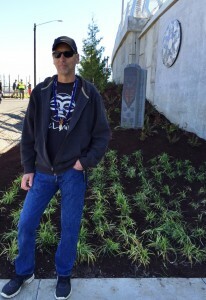 The name Tilikum Crossing, Bridge of the People, honors the Chinookan peoples who have lived near the Columbia and Willamette rivers for 14,000 years; now unique artwork by Chinook artist Greg A. Robinson stands at both sides of the structure to welcome people as they cross the bridge. The Confederated Tribes of the Grand Ronde donated the three-piece artwork to TriMet on Friday, April 17 during a special ceremony held at the base of Tilikum Crossing, which will carry TriMet’s future MAX Orange Line. 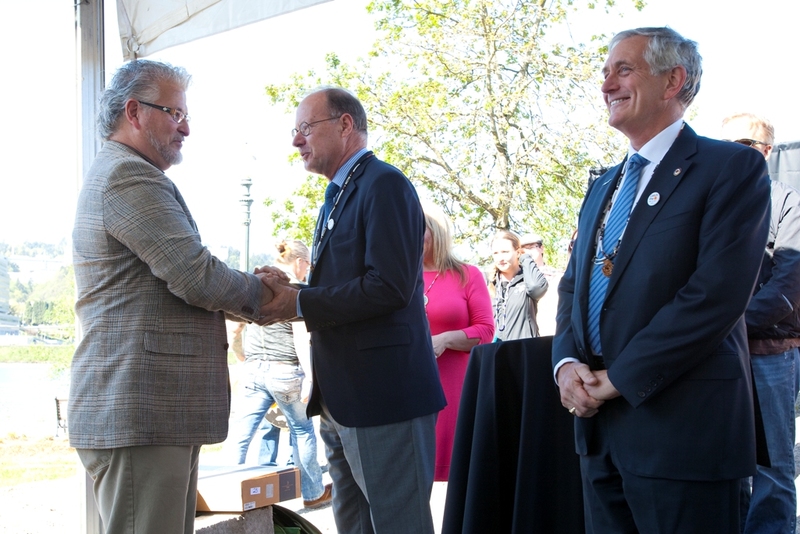 Jon George, Tribal Councilor for the Confederated Tribes of the Grand Ronde, opened the ceremony with a special invocation honoring the original inhabitants of the region, and highlighting how MAX light rail connects people today the way paths and trails once connected communities centuries ago. 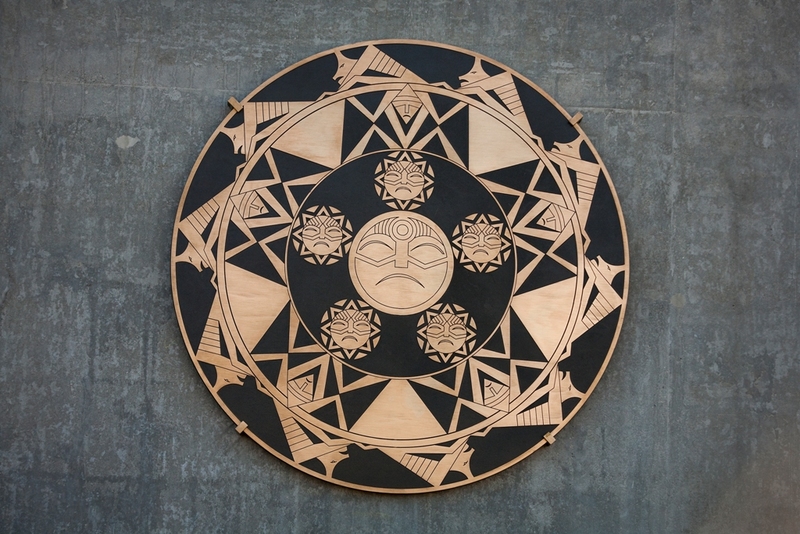 The donated artwork, entitled We Have Always Lived Here, consists of a large bronze medallion, five feet in diameter, and two basalt carvings that represent an ancient tradition among the Chinookan peoples. McFarlane was joined at the unveiling and dedication by Portland Mayor Charlie Hales, Confederated Tribes of the Grand Ronde Councilwoman Cheryle Kennedy and artist Robinson. 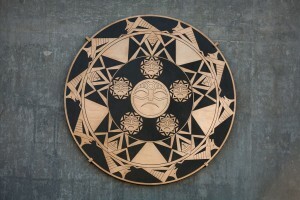 The medallion shows Morning Star and her children in the center, surrounded by the first humans and then Coyote in the outermost ring. 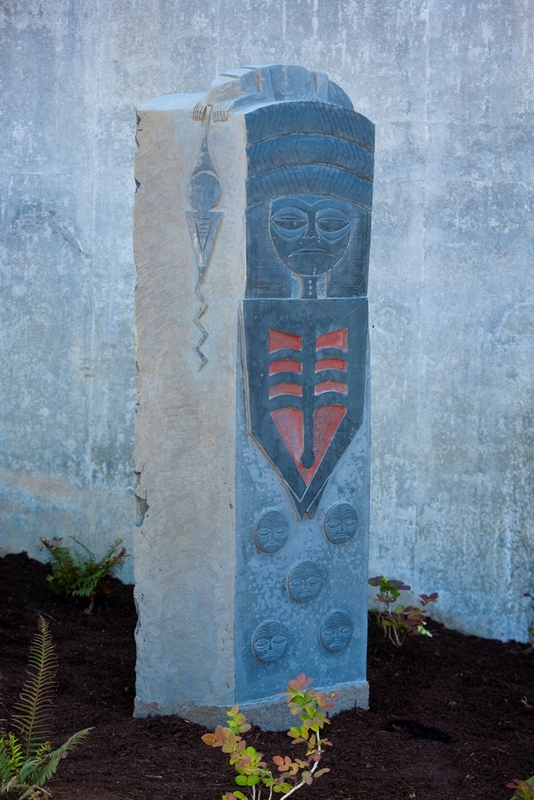 One of the two basalt carvings of a Tayi, or headman with his people, stands nearby. The other stands on the western side of the bridge.